A Babylonian amora of the third and fourth generations (fourth century). 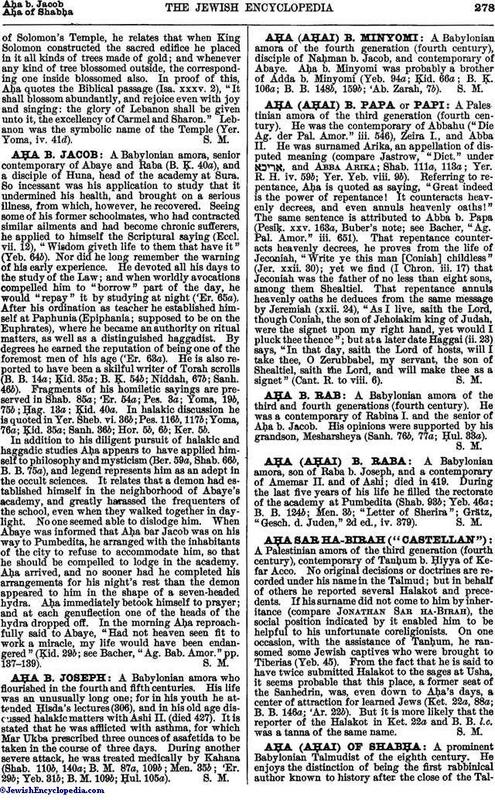 He was a contemporary of Rabina I. and the senior of Aḥa b. Jacob. His opinions were supported by his grandson, Mesharsheya (Sanh. 76b, 77a; Ḥul. 33a).